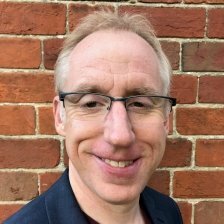 Gordon is a senior data professional with specialisms in Big Data, Data Science and Architecture. Experienced in providing architectural, technical and managerial leadership dedicated to the application of innovative data science & big data techniques to fundamental business challenges across multiple business domains dealing with data at Petabyte scale. Championing balanced, risk-based approaches to Data Governance. Enabling the Citizen Data Scientist to delivery business value. Gordon’s core skills include managing and collaborating with international teams of business and data professionals in analytics projects with emphasis on building strong and lasting client relationships with key stakeholders to CxO level. Gordon is able to speak business and technical languages with equal fluency and bridge the gap between the two. Gordon is currently the Enterprise Domain Architect for Data and Analytics at Carlson Wagonlit Travel (CWT) – the world’s largest Corporate Travel Management Company, who manage the Business Travel for many of the world’s leading companies.